Well, lets just say that they DON'T like it! 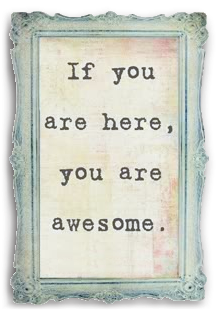 Especially when the outside temperature is -2 degrees! As you can see, Dixie was not a happy girl. Jasmine and Daisy were not up for any winter games either. 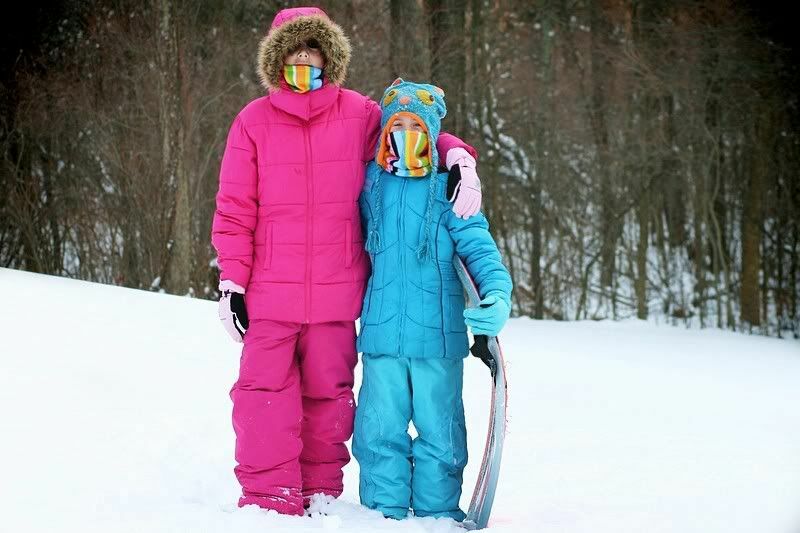 Tara and Madeline tossed them into the freshly fallen snow, and they literally just sat there. Looking at us as if to say "Are you KIDDING me?!!" 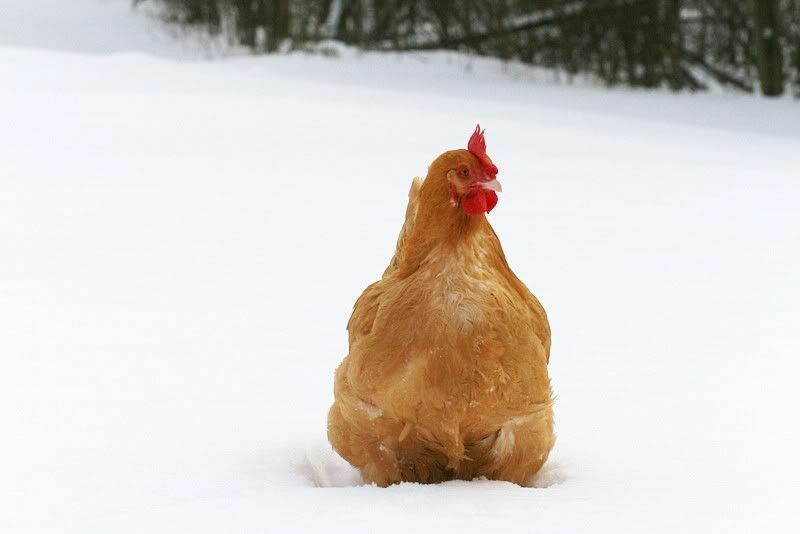 Pick me up and put me back into my heated coop!! 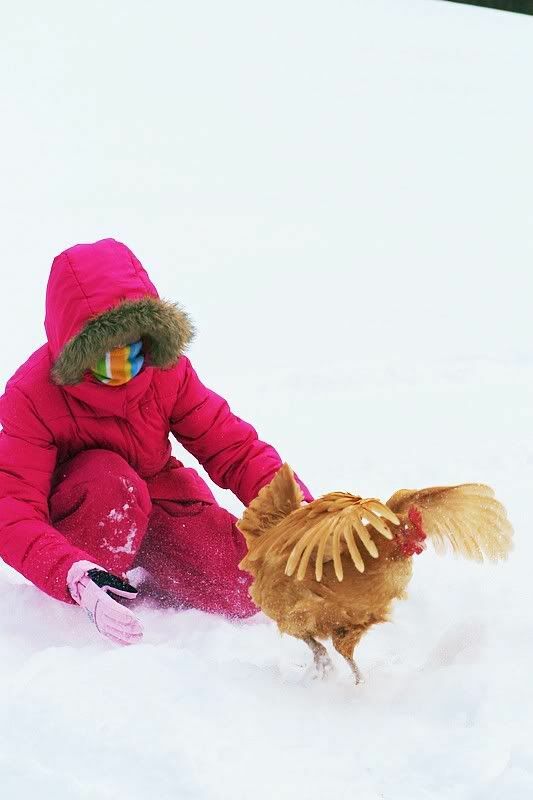 Chickens aren't like kids after all. They don't have warm boots on their feet or fleecy hats on their combs. 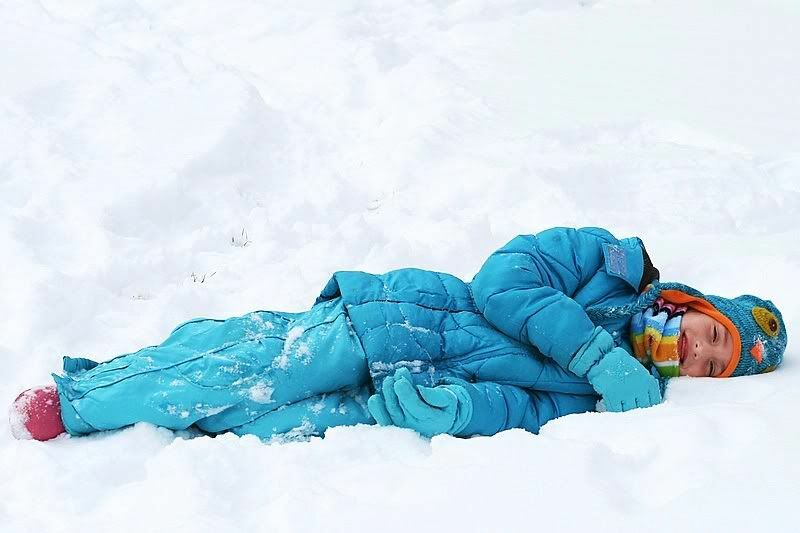 Madeline was totally okay with laying on her soft bed of snow. 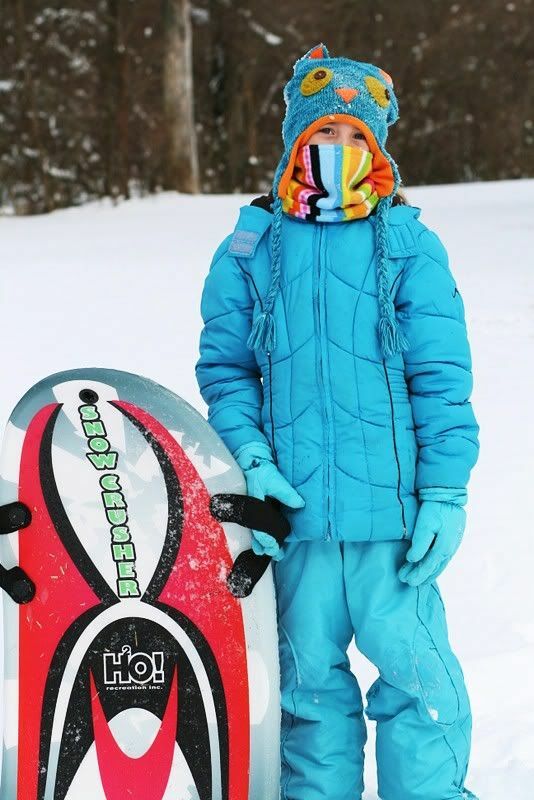 Tara, who's not feeling well at all (she's been running a fever on and off since last night and has a persistent cough), was totally fine in the snow. . .for a little while. Even when Dixie had a little pathway to walk on, she just flapped her wings indignantly while saying "Pick me up! Pick me up! Pick me up!!" Which Tara did. 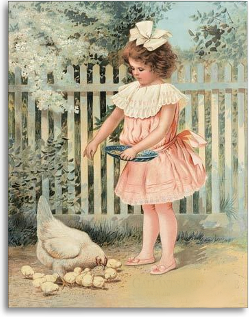 . .
And then she put her in her chicken run, while Madeline followed with Daisy and Jasmine. 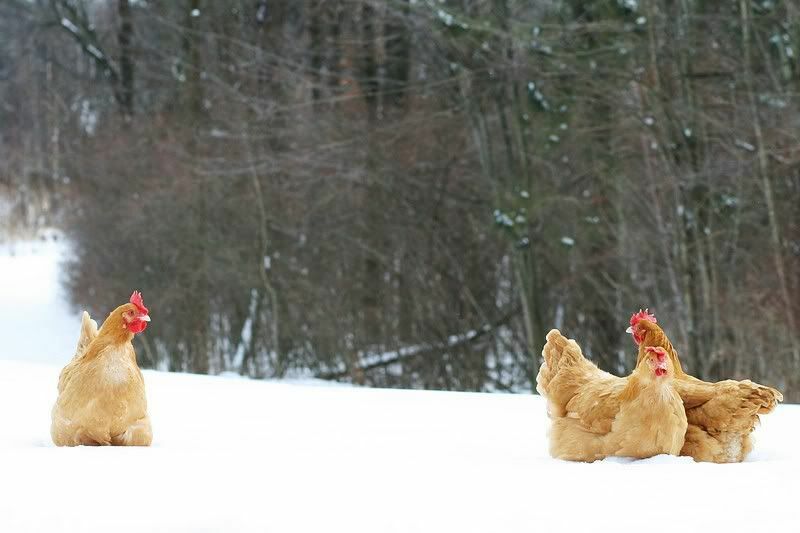 All told, the chickens spent about 7 minutes in the snow and they Did. . .Not. . .Like it!! But I can't blame them. 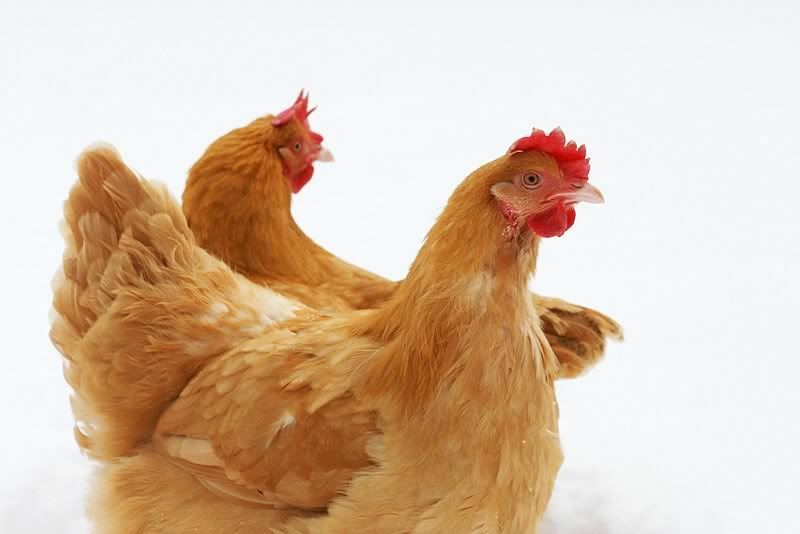 Dixie and Daisy are molting and with the brutal temps, how could they enjoy it?! 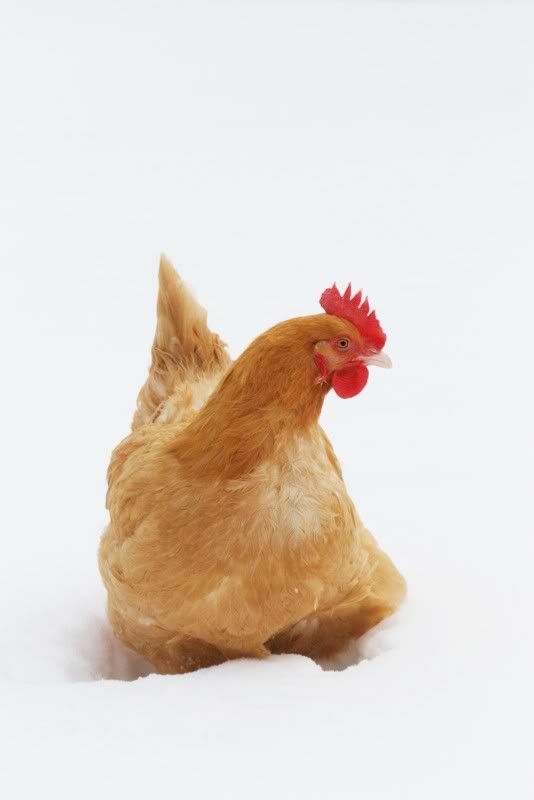 Snow is for kids, not chickens. This is one of only a literal hand full of snowfalls we've had all winter. It has been so unusually mild temperature wise as well as precipitation wise this year. I can't even remember in my lifetime ever having such a mild winter. 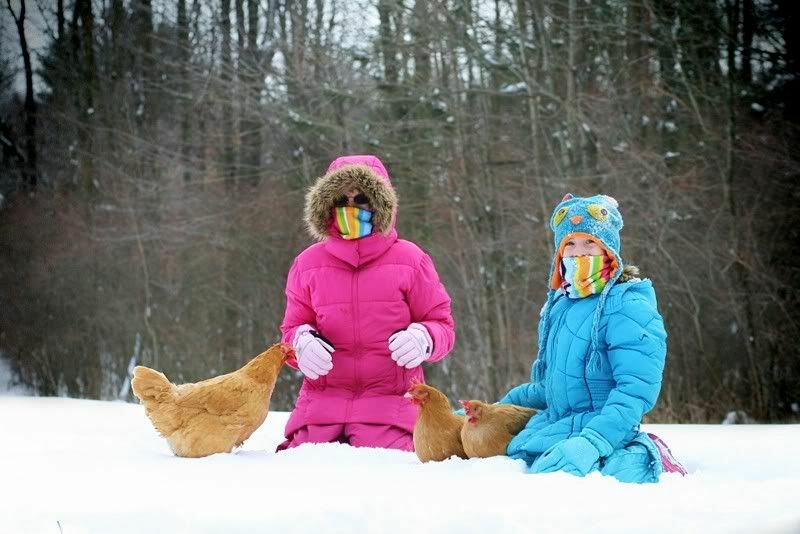 The chickens have not had much exposure to snow and they clearly expressed to us that they prefer spring, summer, and fall far better than winter. I feel the same way as them! 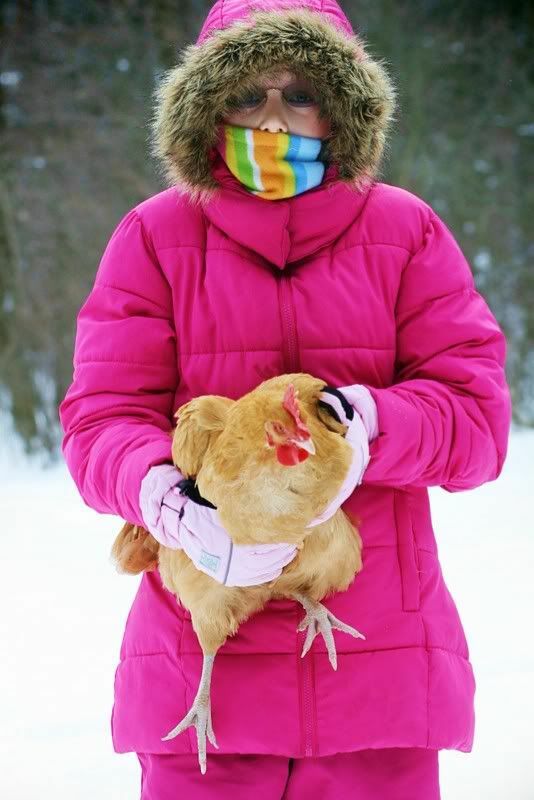 Wow, I have something in common with chickens! See Lori, you're one step closer to a chicken hug! Love Dixie's wing-flapping. Awesome pix as always! Great pictures of the chickens!